My daughter and I felt like we had enough basic information to start looking for the Dickens Family Cemetery but thought more information would be helpful. I was talking to someone locally about it, and that person suggested I contact Jimmy Haire, a local photographer and Lee County historian. I called Jimmy, and he suggested that I contact Kathy Jordan who Jimmy said is the Lee County cemetery expert. I found her address but no phone number, so I sent her letter. I also came to find that Baptist Chapel Church actually does still exist. I don’t know why I couldn’t find it before. On the church’s website, I saw that some of the members have the last name of Dickens. That got me thinking that perhaps some of those people would know where the Dickens Family Cemetery is since Baptist Chapel was originally formed with members from the Joe Log Baptist Church. I wrote a letter to the pastor of Baptist Chapel, too. The pastor at Baptist Chapel called me first. One of the older church members said the cemetery is at the corner of Buckhorn Road and another particular road. Next, I got a call from Kathy Jordan. It turns out that she’s the author of one of the books I found at the public library. 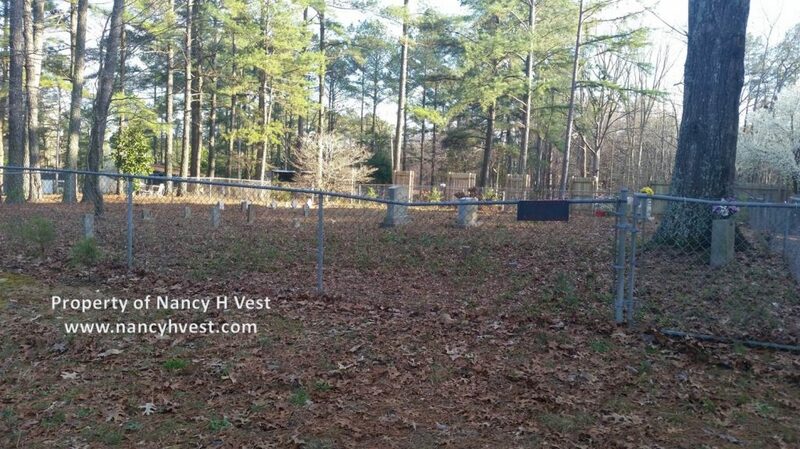 She was able to tell me that the cemetery is about 1/10 of a mile from a particular church on Buckhorn Road. On the first nice-enough Saturday after that, my daughter and I went searching for the cemetery. Going down Buckhorn Road, we found the corner where the cemetery was supposed to be. It wasn’t there, but nearby was a man in his driveway working on his truck. We stopped and asked him if he knew where this cemetery might be. He told us about a small cemetery on Buckhorn Road, not far from our present location. We went where he told us to go, and that cemetery is the Dickens Family Cemetery. SUCCESS! We were thrilled to find the cemetery. The owner of the property where the cemetery sits was in his yard, and we talked to him and his wife. They didn’t know anything about the people buried in the cemetery. I’ve since emailed them that information. The cemetery is small and fenced. 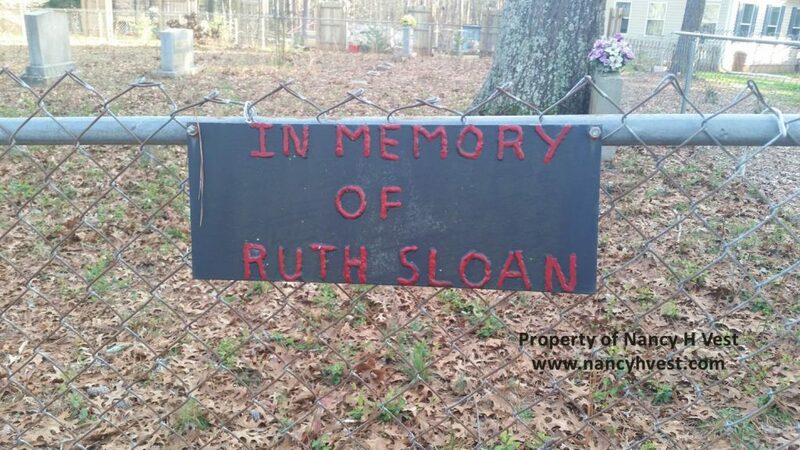 On the fence next to the gate is a sign that says “In Memory of Ruth Sloan.” Ruth Sloan (1904-1959) is buried in the cemetery. Some of the stones are worn enough that they cannot be read. Some of the stones are readable, and a few gravestone bases have no stones on them. There is at least one grave with no marker at all. Unfortunately, that lists includes the grave for the Find-A-Grave photo request that started me on this search to begin with. My daughter and I took photos of the cemetery. I wrote directions of how to find it, and we got the GPS coordinates for it, too. I’ve already called Kathy Jordan with my findings. She is thrilled we found it and that we got the GPS coordinates. I have a few other calls to make, and emails to write, as I wrap up this project. I understand now why the cemetery is called the Dickens Family Cemetery, the Sloan Family Cemetery, and the Kelly Family Cemetery. There are Dickens, Sloans, and Kellys buried there. And I figure Joe Log Baptist Church was named after a person. What I don’t understand is why the cemetery is also known as Pleasant Ridge Cemetery because there is no ridge anywhere around it. 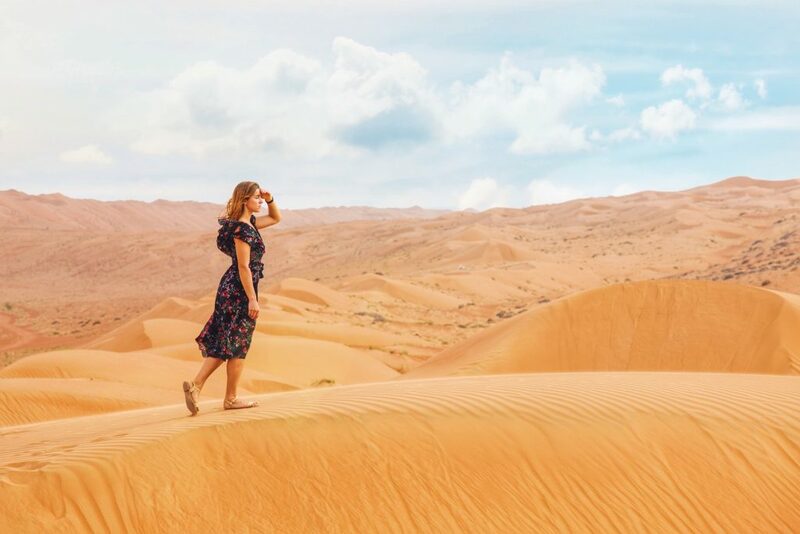 What recent family history discoveries have you made? Comment below.